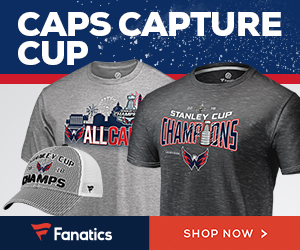 Since the Washington Capitals entered the NHL in 1974, the team has been in the Stanley Cup Finals just twice: back in 1998 and now in 2018. 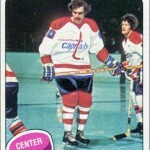 And during the team’s 43-year history, there have been only a handful of offbeat Capitals hockey cards. 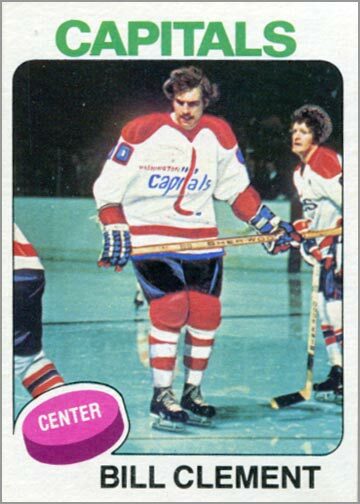 Here are eight such cards of Capitals players that are so fun, strange or ridiculous that they just have to be shared. When Jaromir Jagr was traded from the Penguins to the Capitals in July of 2001, Upper Deck decided that a press conference photo wouldn’t cut it. 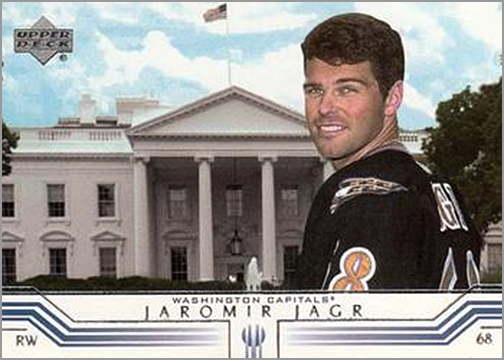 To really drive the point home that Jagr was now with Washington, Upper Deck photographed Jagr chillaxin’ in front of the White House. 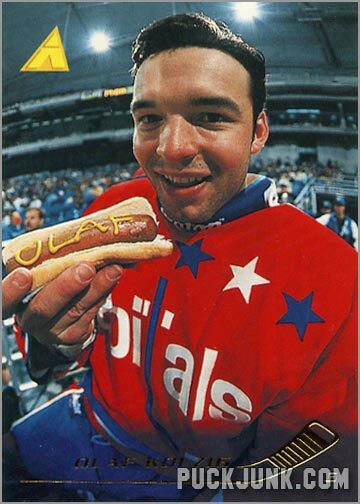 One of the funniest hockey cards from the 1990s is of Caps goalie Olaf Kolzig holding up a hot dog — with his name written in mustard! According to Kolzig, it was the photographer’s idea. 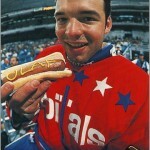 Also, Kolzig claims that he did not eat the hot dog. 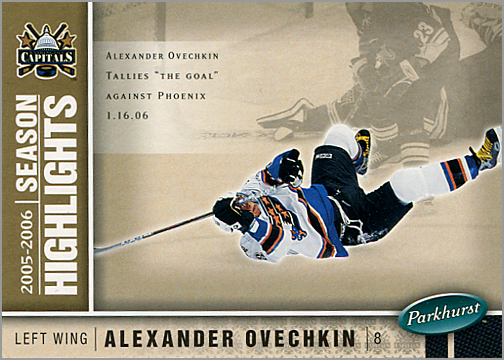 Alexander Ovechkin has scored over 600 goals in the regular season, but none may be more memorable than the one that he scored against the Phoenix Coyotes on January 16, 2006. Still a rookie, Ovechkin gets knocked to the ice while trying to power his way around a Coyotes defenseman, but still puts the puck in the net — while lying on his back. Even Wayne Gretzky, the Coyotes coach at the time, was in awe. 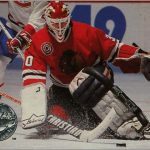 If you don’t think this was the Goal of the Century, let me ask you this: how many times is a regular season goal commemorated on its own trading card? 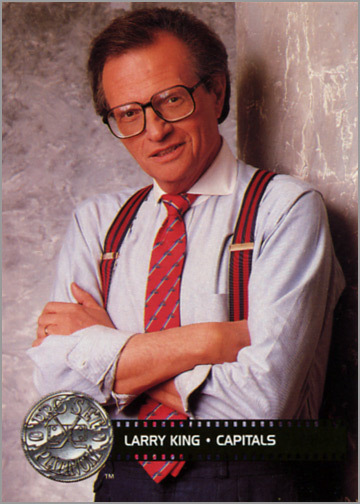 The 1996-97 Fleer Metal Universe set is so ridiculous that I dedicated an entire podcast to it. 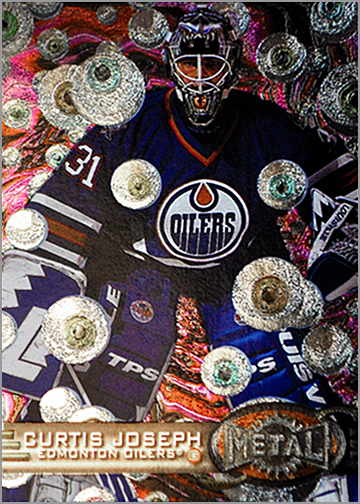 Cards use photos of NHL players superimposed into weird, otherworldly settings — such as a swarm of flying eyeballs or inside the nucleus of an atom. 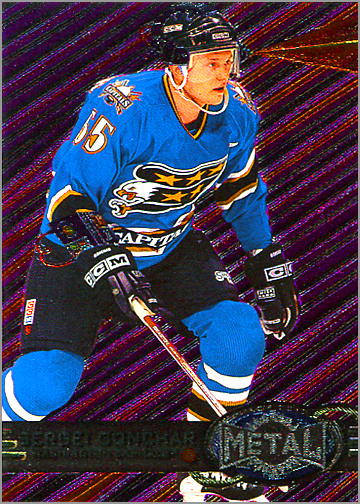 Sergei Gonchar here has a frickin’ laser beam attached to his head, probably because he was assimilated by the Borg. Why is Pat Peake dressed like a waiter? 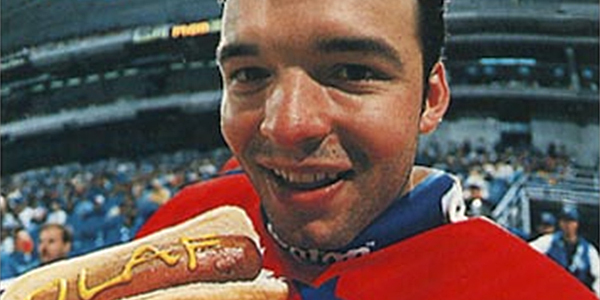 No, the Capitals didn’t make their first-round pick from the 1991 Draft wait tables at a five-star steakhouse as some sort of rookie initiation. 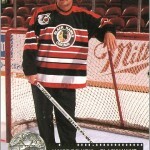 Peake and 31 other top prospects from 1991 — but not the top prospect Eric Lindros — were in a trading card set called Arena Draft Picks. 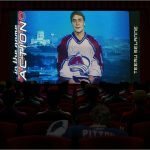 Instead of paying the NHL for the rights to show the players wearing the jerseys of the NHL teams that drafted them, Arena opted to have the players suit up…in suits. 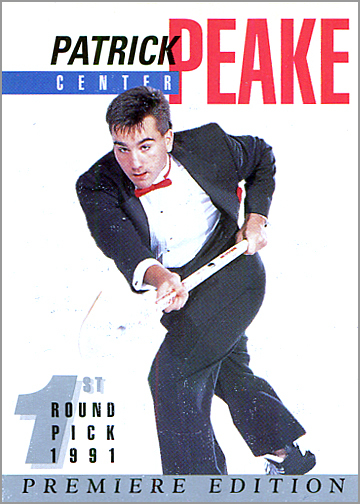 Because kids love pictures of hockey players dressed like the wait staff from an upscale restaurant. Ant Man is going to wish he never met Super Ovechkin! This was such a fun post. Very enjoyable. 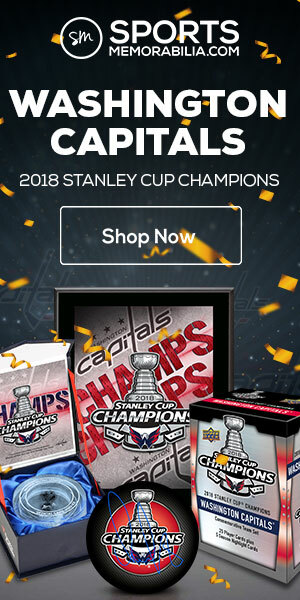 It appears that The Caps have some very interesting cards out there. 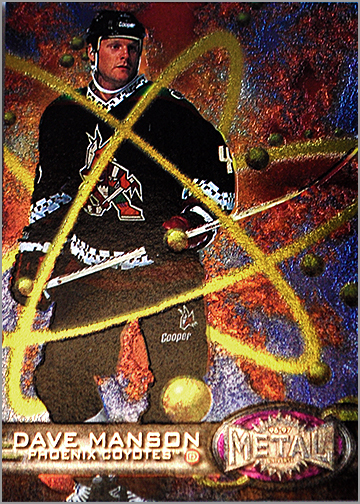 The 1996/97 Fleer Metal Universe would be my favorite. I have the complete set in a binder and they look great in 9 page pockets. Yes, it is a “ridiculous” set but, like this post, a fun set to say the least. The fact that you have an entire podcast devoted to this set speaks volumes. I didn’t check it out then but, am looking forward to hearing it later on. 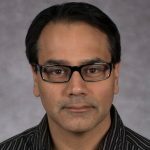 Hi Marc, thanks for reading! Let me know when you listen to the podcast. 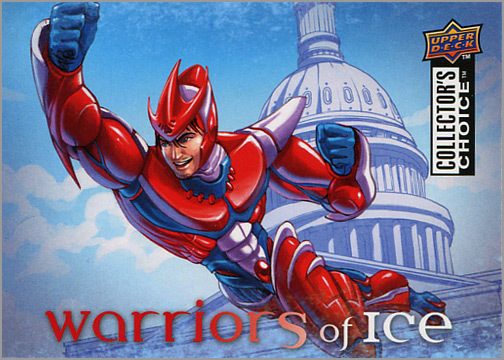 I’d love to know your thoughts on the podcast and the 1996-97 Fleer Metal Universe set.